Obituary for Katie Marie (Eckard) Long | Fletcher Funeral & Cremation Services, P.A. 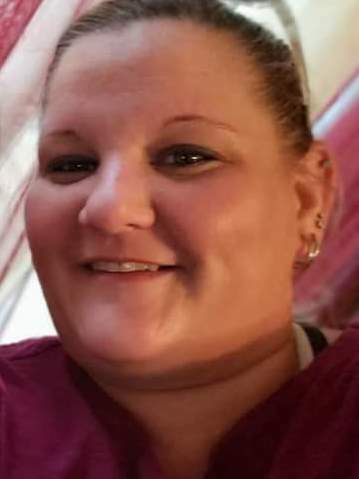 Katie Marie (Eckard) Long, 36, of Westminster, passed away on Tuesday, March 26, 2019. Born April 21, 1982 in Carroll County, she was the daughter of Debra Eckard of Westminster and Charles David Eckard and wife Connie of Reisterstown. She is survived by her loving husband of 13 years, Daniel Long and children Kayla and Kody Long. Katie enjoyed working as a Medical Technician and being a Stay-At-Home Mom. She was a 2000 graduate of North Carroll High School and was a member of the American Legion Hampstead Post No. 200. Besides her husband, children and parents, she is survived by a brother Troy Eckard of Frederick; father-in-law and mother-in-law Daniel and Darleen “Dolly” Long of Westminster; sisters-in-law Danette Kelmartin and husband Steve and Dollene Miller of husband Shawn, grandmother Althea Zepp, an Uncle Paul “Tim” Zepp and wife Judy of Hampstead; Aunt Pam Nicewarner and husband Mike of Charlestown, WV. Also survived by numerous cousins, nieces and nephews. The family will receive friends on Friday, March 29, 2019 from 4 to 7 p.m. at Fletcher Funeral & Cremation Services, 254 E. Main St., Westminster, where Celebration of Life Services will begin at 7 p.m. with Pastor Dave Meador officiating. Interment will be private. In lieu of flowers, memorial contributions may be made to the funeral home to help defray funeral expenses.